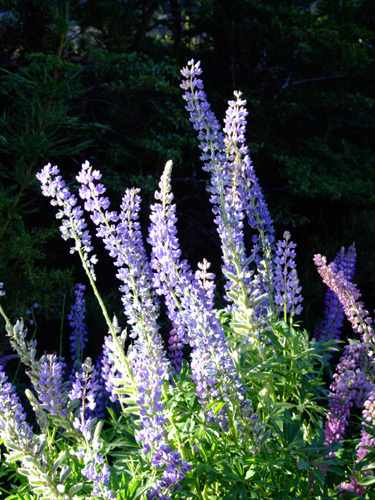 The photos in this file have been taken by us over the years we've been trekking and climbing in the Andes and South America. 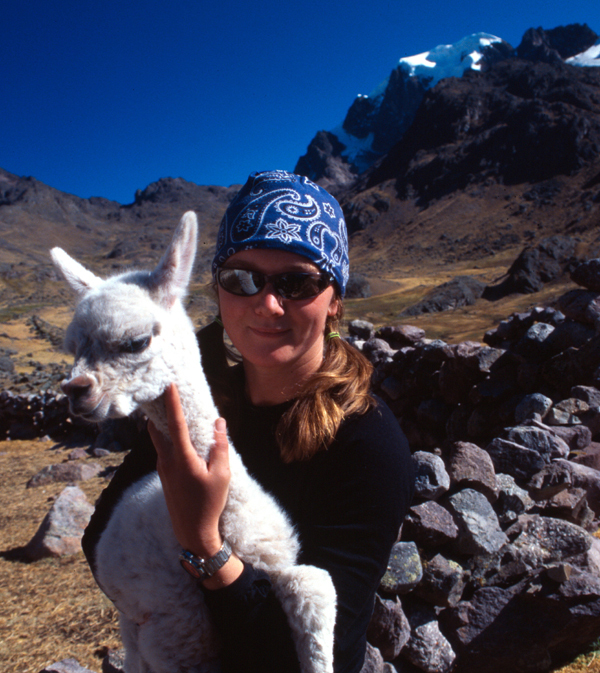 Jill makes friends with a baby Alpaca, Cordillera Carabaya, southern Peru. 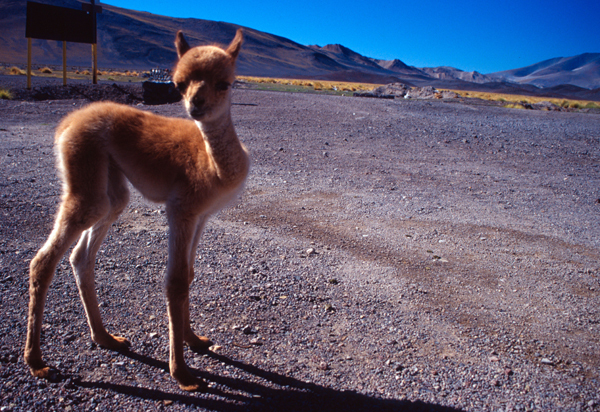 Baby vicuña at San Francisco pass, Argentina. 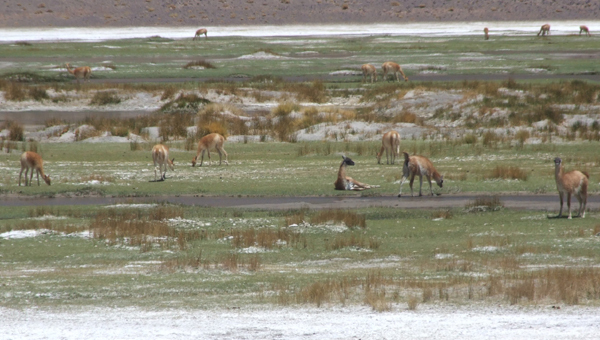 Guanacos doing a "Pushmepullyou" impression, Nevado de Famatina, Argentine Puna. 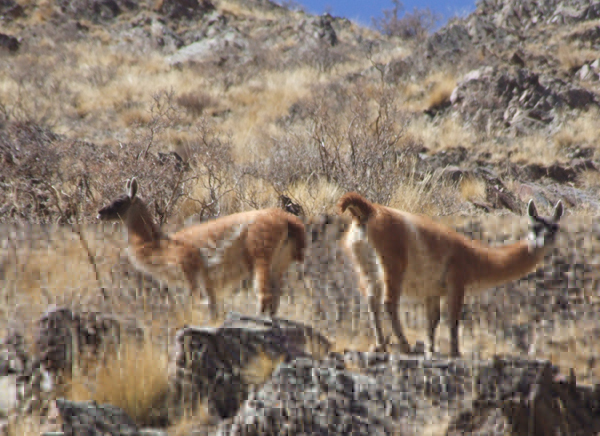 Guanacos and vicuñas grazing together at Cortaderas, Catamarca province Argentina. 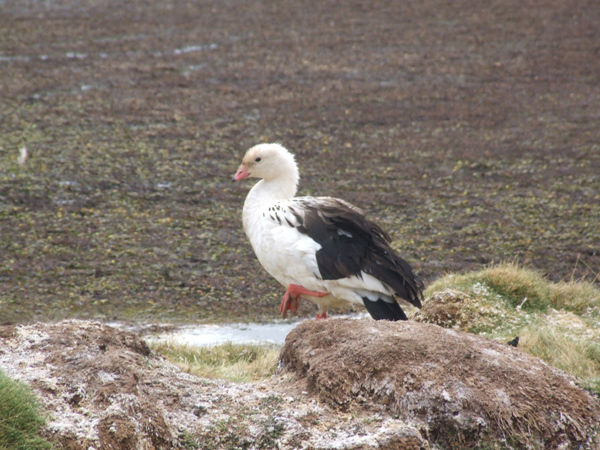 This is still the only place I have seen these two species right next to each other. 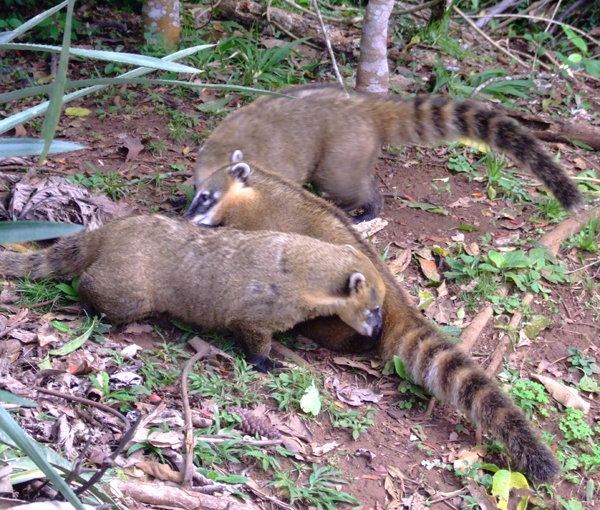 Coatis, Foz do Iguacu, Brazil. 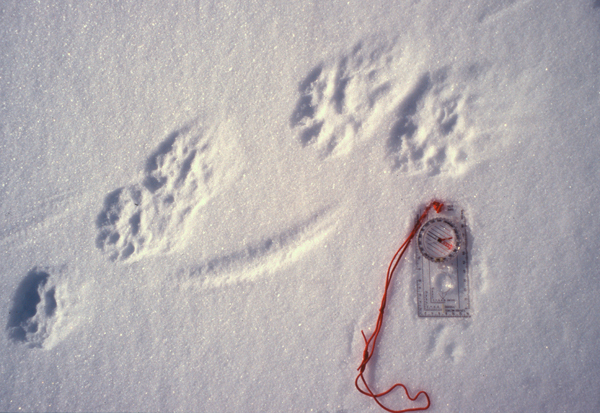 Puma footprints in the snow. 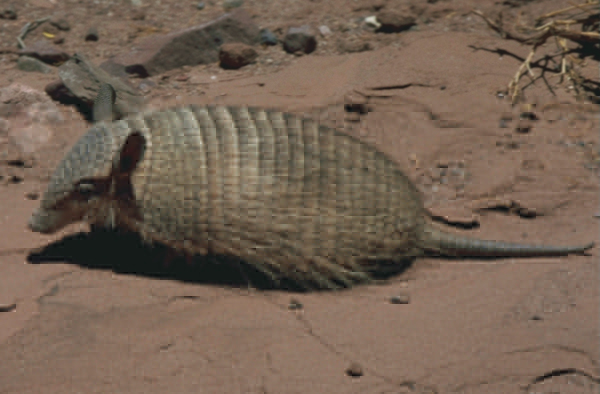 We have seen a puma on several occasions, particularly in the Puna de Atacama, but never managed to get a good shot of one. 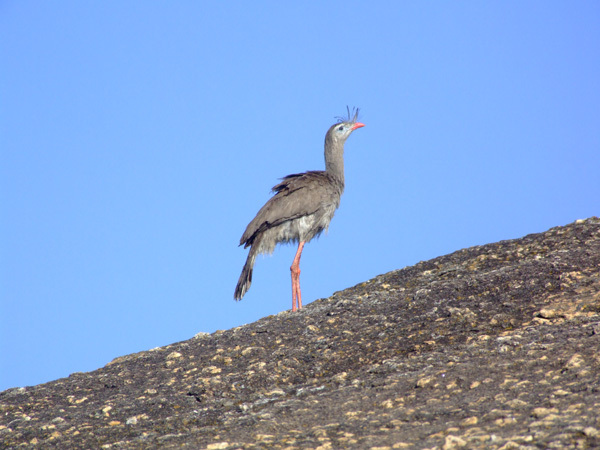 Juvenile condor, Puna de Atacama, Argentina. 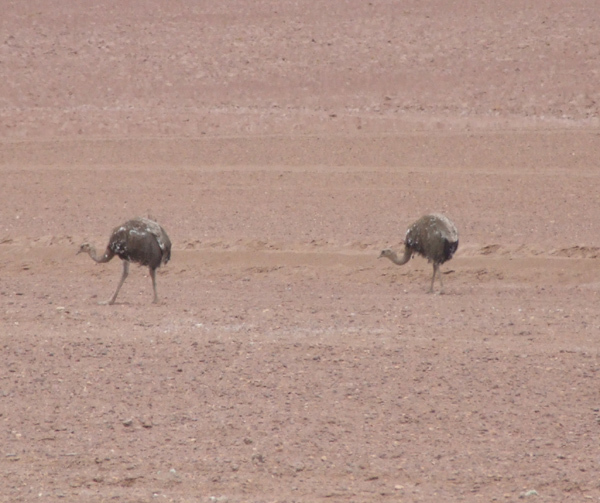 Rheas seen near Antofagasta de la Sierra, Catamarca province, Argentina. 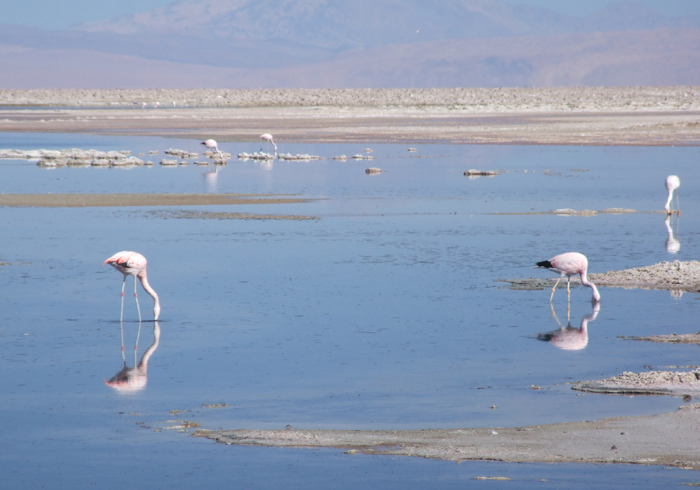 Flamingoes, Salar de Atacama, Chile. 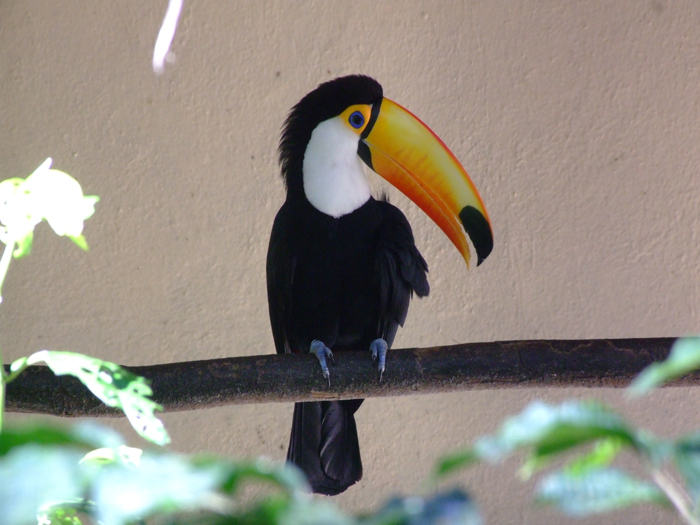 Toucan at our hotel, Foz do Iguacu, Brazil. 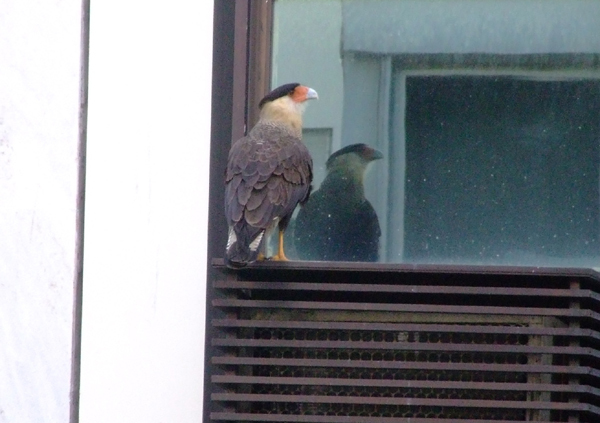 An urban Caracara in Rio de Janeiro, Brazil. 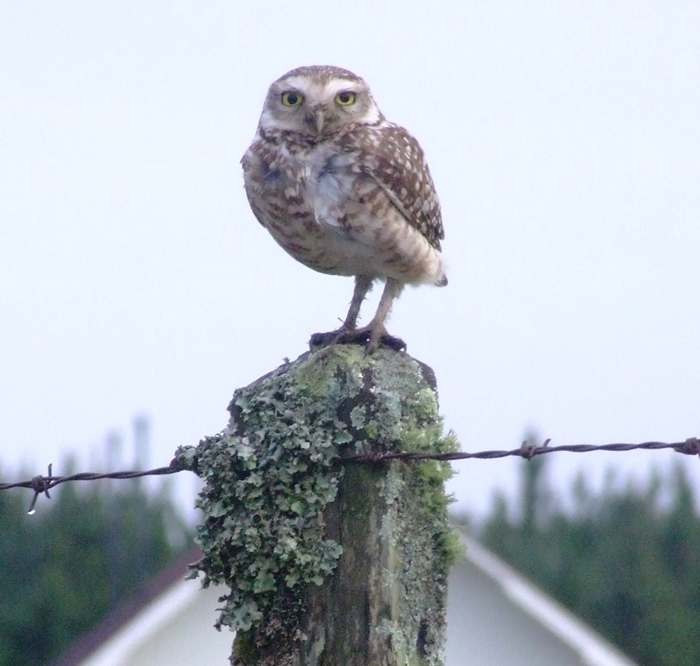 Seen form our hotel window. 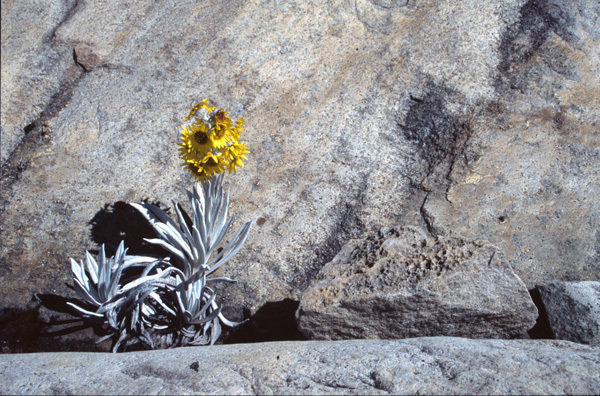 Espeletia flower, Sierra Nevada del Cocuy, Colombia. 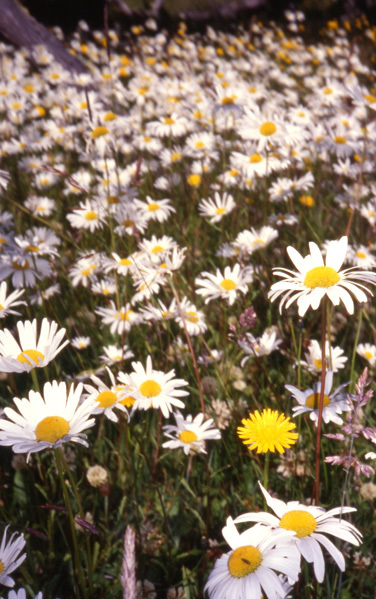 Daisies, Torres del Paine, Patgonia. 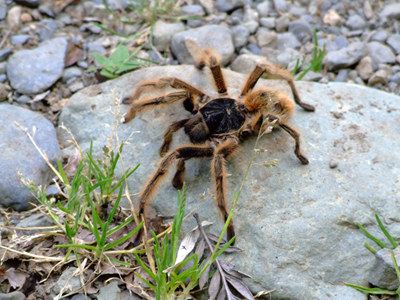 Tarantula, Volcan Choshuenco, Chilean Lake District. 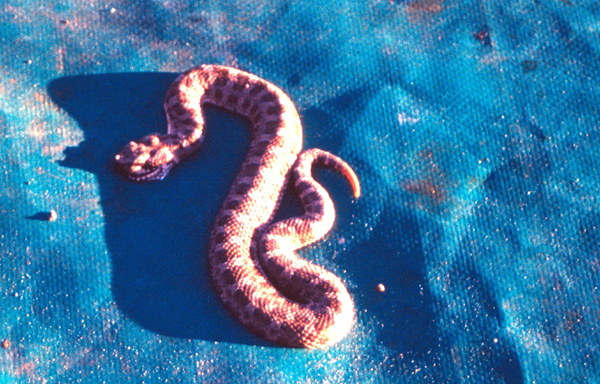 A rattlesnake turns up at our camp, Valle de Chaschuil, Argentina. 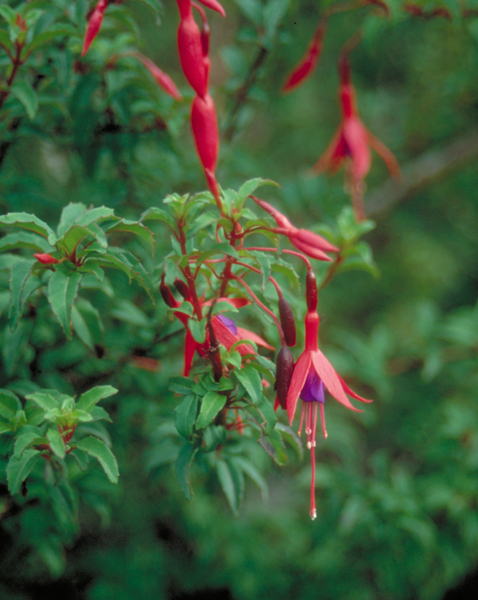 All photos © John Biggar, 1995-2016.